Does Democrats taking the House mean there's renewed talk of a national infrastructure bill? Plus, asset recycling, hyperloop and electric trucks. What kind of infrastructure bill could pass next year? How real are solar roads? What Kind of Infrastructure Bill Might Pass a Divided Congress? In the wake of the November 6th election results, there is renewed talk of a national infrastructure bill. The day after the election, likely House Speaker Nancy Pelosi (D, CA) announced that major infrastructure legislation will be high on the Democrats’ 2019 agenda. She was seconded by the expected chairman of the House Transportation & Infrastructure Committee, Rep. Peter DeFazio (D, OR), who said he is working on a $500 billion infrastructure proposal. With a divided Congress, any infrastructure bill must be developed as a bipartisan compromise that would couple some increased federal spending with policy changes to enable state and local infrastructure owners to invest more, and to invest more wisely. To that end, I think the asset recycling idea holds considerable promise. A new Reason Foundation policy study, released today, provides an introduction to infrastructure asset recycling. The basic idea is for a state or local government to long-term-lease an existing revenue-producing facility to a well-qualified company, financed by infrastructure investors. The company commits to (1) paying most or all of the lease payments up-front, and (2) rebuilding and maintaining the facility during the term of the lease. After paying off any outstanding bonds on the facility, the government can then use the net proceeds of the lease payments to invest in other, currently unfunded, infrastructure. In surface transportation, the best U.S. example of asset recycling is the long-term lease of the Indiana Toll Road. Net proceeds of that transaction enabled the Indiana DOT to fully fund a 10-year highway improvement program called Major Moves, in addition to setting up a dedicated fund to maintain the new or rebuilt highways and bridges. Chicago and Puerto Rico have also done long-term P3 leases of existing toll facilities—the Chicago Skyway and PR 22, respectively. In 2014 Australia adopted a national government policy to encourage its state governments to make use of infrastructure asset recycling. It offered grants to the states, adding 15 percent to the net proceeds of an infrastructure lease or sale, so long as those proceeds were invested in new infrastructure. A$6 billion in federal incentive grants generated A$20 billion in new infrastructure, the majority of it in New South Wales. The U.S. DOT’s 58-page report on how it hopes to use the White House proposal for transportation infrastructure includes several pages on infrastructure asset recycling, citing Australia’s program and noting the major U.S. surface transportation P3 projects carried out thus far. It highlights policy proposals in the White House plan that would reduce barriers to P3 concessions, including an expansion of tax-exempt Private Activity Bonds to enable them to finance P3s for “brownfield” infrastructure in addition to their existing use to finance “greenfield” infrastructure. The new Reason policy study draws on long-term P3 leases worldwide to make some ballpark estimates of the value that might be liberated from existing infrastructure such as airports, toll facilities, water & wastewater systems, etc. For example, toll roads and bridges have been valued in recent transactions at between 18.5 times and 35.5 times their annual earnings before interest, taxation, depreciation & amortization (EBITDA), with an average value of 26.2 times EBITDA. For the 42 largest U.S. toll facilities, the net proceeds could total between $175 billion and $230 billion. Three specific facilities are presented as further examples: the Bay Area Toll Authority, the George Washington Bridge, and the Illinois Tollway system. Infrastructure asset recycling thus offers a double benefit for improving America’s infrastructure. It would shift responsibility for many aging existing facilities to world-class companies that would be contractually obligated to refurbish and modernize them under long-term P3 lease agreements. And it would yield many billions of dollars in asset value that state and local governments could use to develop needed, but unfunded, new infrastructure. Therefore, removing federal barriers to asset recycling and providing federal incentives for state and local governments to make use of asset recycling should be part of any 2019 infrastructure bill in Congress. And for those who are skeptical that such a policy could be included in a bipartisan bill, remember that in 2014 a bipartisan task force of the House Transportation & Infrastructure Committee issued a landmark report endorsing long-term P3s for infrastructure. In addition, earlier this year the Bipartisan Policy Center announced its support for infrastructure asset recycling. Many transportation people have cheered the defeat of California’s Proposition 6, which would have repealed last year’s large increase in gasoline and diesel taxes, which would have led to $52 billion less for transportation over 10 years. But the fact that 44 percent of those taking part voted for this repeal should serve as a wake-up call to the surface transportation community. The generally positive state results are in sharp contrast to the situation at the federal level. Whereas 19 states have increased their own fuel taxes since 2015, there has been no increase in federal fuel tax rates since 1993. One reason is that the Highway Trust Fund (where all the revenues from federal surface transportation taxes go) has become something of a public works slush fund, departing dramatically from the single-purpose user-fee nature of the 1956 legislation that authorized the taxes and HTF: to build the Interstate Highway system. Today, by contrast, there are 108 federal surface transportation programs, including numerous local concerns such as sidewalks, bike paths and trails, and mass transit. In a 2010 Reason Foundation policy study, Adrian Moore and I estimated that 23.3 percent of all federal highway user-tax revenue was diverted to non-highway uses. That fraction is probably higher today, eight years later. On the other hand, 18 states divert 10 percent or less, with Alaska, Missouri, and West Virginia the only three that divert zero percent of their highway user tax revenues to non-highway uses. Various transportation news sources reported on a recent study by Black & Veatch that found a hyperloop project along the I-70 corridor between Kansas City and St. Louis to be “feasible.” The study, which has not yet been released for scrutiny by researchers, claims that the project would be “buildable and commercially viable,” would cut travel time from three hours to 30 minutes, and would generate $410 million in local economic benefits. Maintaining a near vacuum in the tube is very difficult, but is the key to very high speeds in an enclosed tube. Every seam in hundreds of miles of tube must be air-tight, to maintain the vacuum. No company has demonstrated the ability to manufacture tube segments of sufficient quality, or a system for joining them together and maintaining their integrity, at a reasonable cost. Even a minor failure could be catastrophic, causing large-scale infrastructure damage and loss of life. There are no established safety or reliability standards for hyperloop. The idea that this I-70 hyperloop could be privately financed as a self-supporting P3 is questionable. The ENR article mentioned ridership numbers that are hard to fathom. In one paragraph, it says the study “assumes ridership of 16,000 to 51,000 riders per round trip.” Even taking the lower of these numbers, that means 8,000 one-way passengers on a single hyperloop “train”? 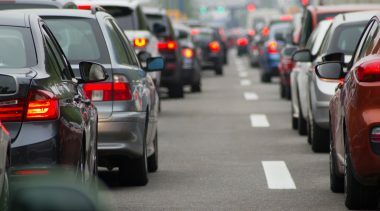 Perhaps the study actually says 16,000 to 51,000 round-trips per day, but if there were 100 passengers per vehicle that would mean 1,600 to 5,100 vehicle round trips per day, or 800 to 2,550 one-way vehicle trips each way per day. Yet ENR also reports the study calling for stations in Kansas City and St. Louis able to handle 6,000 peak-hour riders (3,000 arrivals and 3,000 departures per peak hour). With 100-passenger vehicles, that would mean 30 vehicle arrivals and 30 departures in each peak hour. Access to and from stations: neither Kansas City nor St. Louis has a large-scale urban transit system to take people between the stations and thousands of actual origins and destinations in each metro area. The highway/roadway system connects every origin in one metro area to every destination in the other metro area, without waiting time or transfers. A real market study would have to estimate the travel-time savings for door-to-door trips, not just the hyperloop portion. Investor financing requires a revenue stream. Unless the state of Missouri is prepared to commit annual availability payments for 35 years, the P3 would have to be financed based on farebox revenue. That would require an investment-grade traffic and revenue study, which has not been done or contemplated, as far as I can tell. Opportunity cost is economist-speak for what could have been done with the same resources. In the case of I-70, the opportunity cost is not just whatever Missouri DOT might have to put into the hyperloop project. It would also include devoting a portion of I-70’s limited right of way to this project, rather than using it for dedicated truck lanes, for which this corridor has a high need, given current and projected heavy truck traffic. U.S. shipping depends critically on standardized shipping containers, mostly 40-ft. for maritime transport and 53-ft. for highway transport. I cannot imagine the hyperloop conceptual tube design would accommodate 53-ft. highway containers. Hence, the touted “freight” use of an I-70 hyperloop is probably just hot air. AASHTO reports that two other state DOTs—Colorado and Ohio—are looking into hyperloop projects. They should seriously consider all of the above points before making any implementation decisions. Two factors have thus far prevented electric trucks from making significant penetration into U.S. truck fleets. One is limited range and the lack of recharging (or refueling, in the case of hydrogen fuel-cell electrics) facilities. The other is significantly higher initial cost, potentially offset by lower operating and maintenance costs. The main early application of all-electric trucks has been in relatively light-duty vehicles, such as local delivery services (including Postal Service trucks). Local/urban-area trucking has the advantage of relatively low daily mileage and typically one or more truck yards to which the vehicles return for charging at the end of their duty cycle. Recent months have seen new developments for larger, heavier urban trucks. In June, Volvo Trucks unveiled its FL cab-over truck, which is categorized as Class 7 in U.S. terminology—the second-largest category. It showed two models, one for refuse collection and the other for refrigerated local delivery. The FL has a range of 186 miles, well within the daily usage of a typical garbage truck. Volvo says the total cost of ownership of its FL trucks will be equivalent to that of its diesel-powered counterpart. It has also announced a larger and heavier FE truck. Both generate only 60 dB of noise, about half that of a comparable diesel truck. What about even heavier Class 8 trucks, the kind that power 18-wheelers on the highway? That’s the market segment targeted by Tesla’s planned Semi battery-electric and Nikola’s hydrogen fuel-cell electric, both of which are supposed to be in production by 2020. Those ordering them are not planning long-distance highway routes. Companies like Walmart, UPS, and Anheuser Busch envision using them for local and regional service (such as drayage trips from ports to distribution centers). Conventional truck builders are all getting into the game, up to and including Class 8 trucks. They include Daimler, Hyundai, Kenworth, Toyota, and Volvo. These trucks are not yet on the market, but small numbers are being produced for grant-funded programs in California (e.g., the South Coast Air Quality Management District and the Ports of Long Beach and Los Angeles). Daimler Trucks will produce 10 Class 8 and 10 Class 6 battery-electric trucks under a SCAQMD project to reduce emissions from port drayage operations and other delivery applications. The California Air Resources Board is funding a project under which 23 of Volvo’s “light” Class 8 FE trucks will be used in another project overseen by the SCAQMD. The Air Resources Board is also funding a project for 10 hydrogen fuel-cell electrics to be produced by Kenworth and Toyota. These projects will develop real-world operational data that should further advance the state of the art in electric trucking. As someone who has written critically about solar roads, I was intrigued. I emailed Steep asking specifically about China’s solar roads and whether they were indeed both generating power for the grid and paying for the construction and operating costs of the roads. I hoped he would send an article or paper on which these paragraphs were based. After several weeks, he provided a two-sentence reply: “Major highway. Freeway under construction from China to Europe.” In support, he provided the following link: https://www.youtube.com/watch?v=sYPzB1g5 5. When I clicked on that link, what I got was a 53-second video showing a 2 km test section, not a major highway. The text claimed that 2000 miles of this are planned in China. And there was nothing about a solar freeway from China to Europe. The video was produced by CGTN, which YouTube identified as “funded in whole or part by the Chinese government.” I noted that the aerial view showed no vehicles actually operating on the solar lanes, only on the adjacent conventional lanes. O’Toole also added that a solar panel installed flat on a bikeway or road will produce about 30 percent less power than one on a roof that is angled to face the sun optimally. And as for solar panels on heavily traveled roads or highways (like those in China and the United States), I have pointed out previously that vehicles will block the sun from hitting the panels a significant portion of daylight hours. 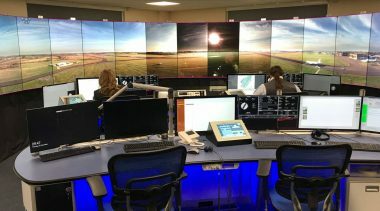 The YouTube video about China’s pilot project made no mention of the cost or the solar efficiency of the panels used. I remain highly skeptical of the whole concept of solar roads. Note: We don’t have the time or space to list all transportation events that might be of interest to readers of this newsletter. Listed here are events at which a Reason Foundation transportation researcher is speaking or moderating. Rethinking America’s Highway Institutions, Nov. 15, 2018, Los Angeles, CA, UCLA Institute of Transportation Studies (Robert Poole speaking). Details via email from its@luskin.ucla.edu. Ohio Turnpike to Add Electric Vehicle Charging Stations. On October 22nd, the Ohio Turnpike announced a contract with Electrify America to add EV charging stations at four service plazas along the western portion of the toll road. Each station will initially host four charging dispensers. This project would be illegal on the more than 90 percent of Interstate highways that are non-tolled, due to a 1956 federal ban on “commercial services” at Interstate “rest areas.” On all those Interstates, motorists and truckers using electric vehicles will have to get off the Interstate and search for a charging station. Congestion Costs U.S. Trucking $74 Billion per Year. The American Transportation Research Institute released its annual Cost of Congestion analysis last month. Via data from its truck GPS database, ATRI estimated that truck delays on the National Highway System (which includes the Interstates and other major highways) totaled nearly 1.2 billion hours of lost productivity, adding nearly $74.5 billion in trucking company operating costs. Also, nearly 87 percent of the congestion costs occurred on just 17.2 percent of NHS miles. The data are for 2016. $4.4 Billion U.S.-Canada Bridge Reaches Financial Close. A cable-stayed toll bridge linking Detroit, MI with Windsor, Ontario reached financial close on October 1st. The project is being procured by the Windsor-Detroit Bridge Authority as a 36-year design-build-finance-operate-maintain (DBFOM) concession, based on availability payments. Toll revenue will help the Bridge Authority make the agreed-upon payments to the concession company. The winning team consists of Fluor (U.S.), ACS (Spain), and Aecon (Canada). Scheduled opening date of the six-lane bridge is 2024. HNTB Survey: Americans Willing to Pay More for Better Highways. The latest “America Thinks” public opinion survey by HNTB finds that 73 percent of Americans are willing to pay more in taxes or tolls to get relief from traffic congestion. 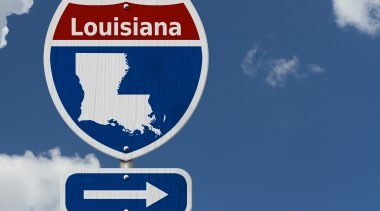 Tolls out-scored increased taxes, with 46 percent willing to pay tolls for specific highways and bridges that they use, versus only 27 percent favoring higher fuel or other taxes not linked to specific projects. Only 27 percent said they did not favor paying anything more, apparently expecting the tooth fairy to provide uncongested highways. Green Light for $11 Billion Australian Toll Road. Infrastructure Australia has approved the business case presented by the state government of Victoria for the $11 billion North East Link project, with procurement to begin next year. The basic project is an 11 km tollway linking the M3 Eastern and the M80 Ring Road in the eastern suburbs of Melbourne. In addition, the project will add lanes to the Eastern Freeway and add 10.8 km of bus lanes between Melbourne and Doncaster. The project includes twin 6 km three-lane tunnels beneath the Yarra River. The project will be procured as a DBFOM P3. PrePass Now Enrolls 600,000 Trucks. HELP, Inc.’s transponder-based system, which allows qualified trucks to bypass weigh stations and those using toll facilities to pay electronically, has reached a new high of 600,000 enrolled trucks. HELP was set up 25 years ago to implement the PrePass system for trucks. Canadian Pension Funds Buy 49 percent of Mexican Toll Road. Two of Canada’s largest public-sector pension funds—Canada Pension Plan Investment Board (CPPIB) and Ontario Teachers’ Pension Plan (OTTP)—added to their infrastructure portfolios last month. Together, they purchased a 49 percent interest in the concession for the 309 km Pacifico Sur toll road from Mexican developer/operator IDEAL. Two years ago, the pair of Canadian funds acquired 49 percent of the Arco Norte Highway in central Mexico. 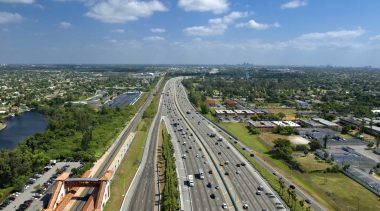 New Florida Expressway to Begin Tolling Early Next Year. The First Coast Expressway—eventually to be an outer beltway around the southwestern suburbs of Jacksonville—has opened its initial segment, linking I-10 on the north to SR 21 on the south. Motorists are using it free so far, but electronic tolling will begin early next year once all entry and exit ramps are completed. The project’s second phase will begin construction next year, extending the route to the St. John’s River. The third (final) phase will include a new bridge across the river and an extension to I-95 near St. Augustine. Bestpass Toll Savings to Truckers Top $100 Million. 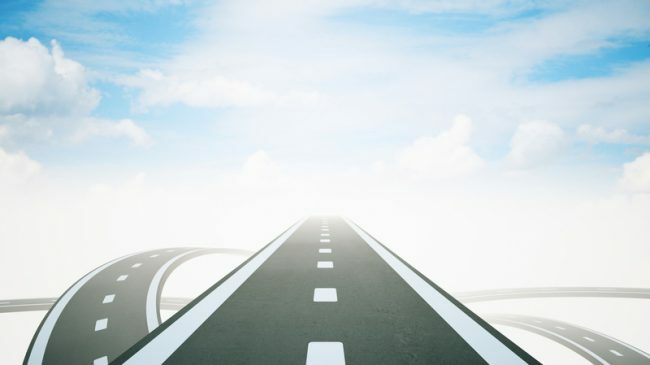 New York State-based Bestpass, which provides toll management services to trucking fleets, announced last month that since its inception in 2001 it has saved trucking companies more than $100 million. It does this by facilitating nationwide interoperable electronic tolling, obtaining volume discounts on toll rates, simplifying back-office activity, and identifying and correcting errors such as misreads. Bestpass has more than 490,000 deployed transponders. New Charlotte (NC) Toll Road to Open by Month-End. The 20-mile Monroe Expressway, a new toll road parallel to congested U.S. 74, will open to traffic on November 27th, the North Carolina DOT has announced. As on the nearly completed express toll lanes on I-77, due to open early next year, tolling on Monroe will be all-electronic, via either NC QuickPass (or other compatible transponders) or via license plate imaging. A Managed Arterial in Fairfax County, VA? Greater Greater Washington published an interesting article last month headlined “Tolls Could Be Coming to Fairfax County Parkway, and You Can Weigh In.” Virginia DOT and the Fairfax County DOT are looking into alternatives for improving 31 miles of this Parkway, from Route 7 in Herndon to the US 1 corridor. The challenge is to implement something like HOT lanes on an arterial that has 83 signalized intersections along its route. VDOT is looking into overpasses but notes that they are costly. However, low-height underpasses (light vehicles only) would likely be less costly and at least partly financeable via per-underpass electronic tolls. This approach was spelled out in a Reason policy study, available online here. The Cost of Potholes to Motorists. The Road Information Project (TRIP) last month released its latest nationwide assessment of the cost to vehicle operators of urban roads rated in “poor” condition (as measured by either the IRI or PSR metric). Using a respected methodology, TRIP then estimates the annual cost to motorists, including both repairs and increased annual depreciation in vehicle value. 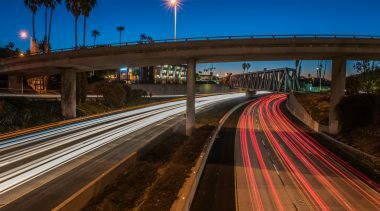 Three major California metro areas lead the list, with San Francisco at 71 percent poor roads, San Jose at 64 percent, and Los Angeles at 57 percent. The annual cost per driver in each of those is in the $900 to $1,000 range. The October 2018 report is “Bumpy Road Ahead,” and is available from Tripnet.org. Should Rich People Get Electric Vehicle Subsidies? 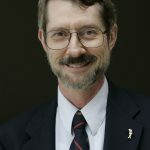 In a well-argued piece, Reason magazine science correspondent Ron Bailey answers that question with a “no.” Several weeks later, Sen. John Barrasso (R, WY) introduced a bill to repeal the $7,500 federal tax credit for EV buyers and would impose a federal highway user fee on vehicles that do not pay federal fuel taxes. Sirius XM Buys PayTollo. Automatic, a subsidiary of satellite broadcaster Sirius XM Radio, has bought PayTollo, which enables customers to pay tolls via a mobile app. PayTollo is an accepted payment option in California and Florida thus far. It is one of several companies that have developed such apps. Signal Synchronization Not a Panacea. In a very readable article on Auto.howstuffworks.com, Dave Roos explains the basics of traffic signal synchronization and explains what it can—and cannot—do. One key message is that it works well only in the peak direction during peak periods “Why Syncing Lights May Not Solve Traffic Woes” is well worth reading. Romania Launching $1.4 Billion P3 Tolled Motorway. The Romanian government has begun the procurement process for a toll motorway from Ploiesti (north of Bucharest) to Brasov in Transylvania. The project will require many bridges and tunnels. It will be developed under a DBFOM concession of 24 years. Bloomberg Article Documents Scooter Deaths and Accidents. Love them or hate them, electric scooters are having trouble finding an appropriate place in America’s urban areas. Olivia Carville’s Oct. 30th article chronicles lawsuits resulting from accidents and deaths, but devotes little attention to the littering of sidewalks and other public areas with scooters left behind by riders. Automated Rail Transit Is for Real. Rongfang Liu has a fascinating article in the September/October issue of the TRB magazine, TR News. “Automated Transit Applications” discusses various forms of automated rail transit in operation around the world, including the driverless Metro Line 14 in Paris. If the French can do it, why can’t we? Challenges Faced by Autonomous Cars. Two thoughtful articles on challenges facing fully autonomous cars crossed my desk recently. One is “Self-Driving Cars Can Handle Neither Rain nor Sleet nor Snow,” published by Bloomberg on September 17th. Most AV researchers are well aware of this, but popular media generally are not. The other worthwhile piece is “Driverless Hype Collides with Driverless Reality, by Christopher Mims in the Wall Street Journal’s September 15th edition. Both articles appear to be carefully researched and are calmly written. They provide a counterpoint to the near-term AV utopias often portrayed by popular media. New Research on Finance and Pricing. The TRB journal Transportation Research Record No. 2670 includes 11 papers on transportation finance, including toll collection, fuel taxes, and P3 investments. It can be previewed on the TRB website. Congratulations to Dave Bauer. Last month long-time ARTBA vice president for advocacy, Dave Bauer, was named the new president and CEO of the American Road & Transportation Builders Association. Bauer succeeds long-time CEO Pete Ruane, who retired on October 31st.